Ludwig Wittgenstein, Philosophical Investigations: The German Text, with a revised English Translation (Blackwell; Oxford, 2001) third edition. I wont pretend to have read all of Philosophical Investigations thoroughly (though it was surprisingly easy to read) but I have skimmed the whole and digested the relevant bits as required for my research. It became evident very early on in my PhD research that doing theology at this level is very difficult without a background in philosophy! (Those first year BA lectures in 1989 where I zoned out and wrote bad poetry have come back to haunt me!) Hence, I have taken crash courses in Wittgenstein, Hegel, Heidegger, Riceour, Plato and more! Yes, it has been as hard going as that sounds and I have frequently felt overwhelmed!! Anyway, I need to get into Wittgenstein because he presents a solution to the problem of the language of love. 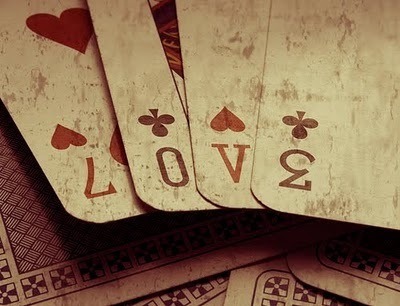 Love is sometimes described as a game. Now philosophers are not known for their frivolity, but with Wittgenstein, it is true: to speak of love is a word game. The problem is that l-o-v-e, this four lettered word in the English language, basically defies empirical definition. When employed as a noun it denotes different emotional and relational states of the human person. When employed as a verb it denotes a range of actions towards others and within ourselves. The phenomena of love is essentially multiform and complex. I love my family, chocolate and Jesus – each of these experiences has a distinct feeling about them and the actions flowing out of my feelings are different for each one (except for the occasions when I eat my children!) And yet, you seem to understand what I mean when I say each of these things. I have deep commitment to the well-being of my family; I enjoy chocolate more than any other food; Jesus makes my world go around! Affection, attraction, interest – these attributes of human relationship figure strongly in the experience of love, but without further clarification, these words do not get close enough to confining the dazzling array of feelings, actions and propositions that love can entail. However, that does not mean that we don’t know what we’re talking about whenever we deploy the word; on the contrary, we know what we mean, it’s just that we mean a lot more than the word can literally say! The word evokes meaning, depending on its context. In this sense, the word functions similarly to a whole range of abstract language that I am interested in for my research – beauty, God, prayer, mystical experience – and its not confined to English. This category of words which defy empirical definition preoccupied the mind of Wittgenstein and, upon reflection, he came up with an illustration of what was going on based on the word ‘game’. He shows how some words gain their meaning not through reference to a concrete absolute, but through a process he named ‘family resemblance’. Consider for example, the proceedings that we call “games”. I mean board-games, card-games, ball-games, Olympic games, and so on. What is common to them all?- Don’t say: ‘There must be something common, or they would not be called ‘games'” – but look and see whether there is anything common to all. – For if you look at them you will not see something that is common to all, but similarities, relationships, and a whole series of them at that. To repeat: don’t think, but look!- Look for example at board-games, with their multifarious relationships. Now pass to card-games; here you find many correspondences with the first group, but many common features drop out, and others appear. When we pass next to ball-games, much that is common is retained, but much is lost.- Are they all ‘amusing’? Compare chess with noughts and crosses. Or is there always winning and losing, or competition between players? Think of patience. In ball-games there is winning and losing; but when a child throws his ball at the wall and catches it again, this feature has disappeared. Look at the parts played by skill and luck; and at the difference between skill in chess and skill in tennis. Think now of games like ring-a-ring-a-roses; here is the element of amusement, but how many other characteristic features have disappeared! And we can go through the many, many other groups of games in the same way; can see how similarities crop up and disappear. And the result of this examination is: we see a complicated network of similarities overlapping and criss-crossing: sometimes overall similarities, sometimes similarities of detail. I can think of no better expression to characterize these similarities than “family resemblances”; for the various resemblances between members of a family: build, features, colour of eyes, gait, temperament, etc., etc. overlap and criss-cross in the same way. – And I shall say: ‘games’ form a family. And for instance the kinds of number form a family in the same way. Why do we call something a “number”? Well, perhaps because it has a – direct – relationship with several things that have hitherto been called number; and this may be said to give it an indirect relationship to other things that we call the same name. And we extend our concept of number as in spinning a thread we twist fibre on fibre. And the strength of the thread does not reside in the fact that some fibre runs through its whole length, but in the overlapping of many fibres. But if someone wished to say: “There is something common to all these constructions – namely the disjunction of all their common properties” – I should reply: Now you are only playing with words. One might as well say: “Something runs through the whole thread – namely the continuous overlapping of these fibres”. So, as Wittgenstein says, there is something that runs through the whole thread, whenever we use the term ‘love’. It is a poetic word: a word that alludes rather than proscribes; a word that suggests rather than stipulates; a word whose meaning grows within its context. When writers employ the word they rely on the ambiguous nature of the language to fill their work with colour; to paint a picture in the imagination; to evoke a memory of an experience. It is a word that conjures a whole scene of meaning rather than a snapshot frozen in time and space. Traditionally, theology has sought to confine the meaning of love to a particular sibling within the family of meanings. C.S. Lewis canonised this approach for a generation of Christians through his explanation of four Greek words for love in his 1960 book The Four Loves. For example, most Christians would confine ‘agape’ love to describe the love of God and ‘eros’ love as that between two sexual lovers. Whilst it is true that agape is the preferred Greek word used in the Scriptures, and in fact eros is not used at all, the reasons for the original writers employing those particular terms did not intend to segregate meaning in the way that we have done in the scientific era. Now, I’ve been wondering, what if the poetics of the word love is maintained in its usage? At the very least it will change the way that I write about love. But what will happen if I take seriously the actual phenomena and experience of love which is always complex, dense and messy? Love is rarely experienced in any single form: even when I love my children, it is mixed in with love (or otherwise) of my parents, love (or not) of their father, love (hopefully) of the life that I lead with them, our friends, our activities, and the God whom I believe is involved with it all? So, what if we reject a single dimension approach to love when it comes to theology? What if God’s love is fundamentally and irreducibly multidimensional? What if God’s love for humanity is eternal and unconditional, just because God loves us (agape), and God loves us because we are valuable (eros), and God loves as a family member loves another family member – as a father and a brother (storge), and God loves us because that’s the way relationships work best to produce mutually beneficial outcomes (phileo)? To write of God and human love like this requires beauty, poetry, feeling, intelligence, slowness and openness. We cannot do away with the stage upon which the love is spoken, the story within which love unfurls or the conversation into which the word is uttered. That’s the theology of love I want to write. I’ve been wading through the difficulties of defining love for what seems like a lifetime but in reality is only a few months of PhD work. How does one write sensibly about love when love is so uncontainable by words? It is a problem preoccupying scholarship of various kinds in the present era and no less importantly a dilemma of the everyday that we all come across: how many times can I say to my children ‘I love you’ before it loses all meaning to them? But how else do I communicate the ache in my chest which throbs with the urge to wrap them in my arms and squeeze them till they squeal? Despite the difficulty of empirical definition when it comes to love, we can identify themes or key characteristics which we seem to assume when we use the word. What we are referring to with the word ‘love’ is sometimes a feeling, sometimes an action, sometimes a moral principle. Always though, there will be a seeking of positive human connection that can be described as ‘good’. When we understand something about the ‘conditions’ under which love is produced, we discover we need not be parallelised by this defining frustration. There are things that can be said about love. For example, we grasp something of the nature of love through the (persuasive) evolutionary perspective about the development of love as a driver in the human species reproduction and improvement. However, biology can’t tell us everything, as we can also observe that the human experience of love changes over time and place depending on the cultural context – expectations and judgements produce a morality within which the experience of love is shaped and shaded. Furthermore, the individual human’s personal psychology, particularly the foundations of love laid in childhood and the creative capacity of imagination, will direct the particular manifestation of love in their experience. There is much more in Armstrong’s book than what I pick up here. I suspect each reader will take away some insight unique for themselves as they luxuriate in this beautiful piece of wisdom. Apart from the book’s academic usefulness, I came away feeling encouraged in regard to my own humanity: I could see afresh my own capacity for love and the goodness of a life lived with love as its main pursuit. “In this book I have tried to argue two things – each argument runs through the book as a whole. Firstly, the need to love and to be loved is deeply placed in human nature. It springs from certain inherited evolutionary characteristics but it is also bound up with much more recent developments of self-consciousness: we long to be understood, to be close to another person, to matter in another’s life. These concerns may have had some rudimentary presence in the lives of our remotest ancestors, but they have been massively increased, and brought to the foreground of experience, only in recorded history. And because they are aspects of culture, they vary to some degree from society to society – as these needs are variously interpreted. It is, however, precisely the same factors – the factors which draw us into love – that constitute the roots of love’s difficulties. We long to be understood, but it is often awkward to have another see too much of one’s inner troubles. We try to be charitable, but we are susceptible to boredom and impatience. Above all, we do not go through life with a strictly coherent set of desires, and anyone who charms us in one frame of mind may be annoying in another.